Bruce and Alex Gandy have been playing the new chanter witgh excellent results in solos for well over a year now, and recently the chanter has made it's way into bands, with both the 78th Highlanders (Halifax Citadel) Grade 1 band and the Grade 2 Cameron Highlanders of San Diego enjoying the chanter. Here's a clip of the 78th Highlanders playing the new chanter at Antigonish Highland Games recently. Treat yourself to one of Bruce's new chanters, available right here in the online store. BG McCallum pipe chanter lights up London! 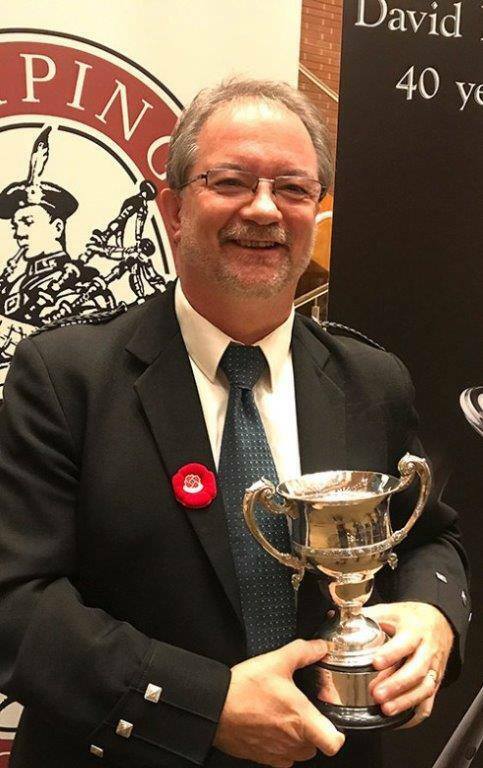 The "Bruce Gandy" model McCallum solo pipe chanter has been consistently winning prizes now throughout 2016 and 2017, including several prizes and the overall Champion Piper from the London Scottish event November 4th. Bruce Gandy won the Marches, the HP/Jig, and two excellent prizes in the piobaireachd events with his BG solo chanter. The chanter suits several reeds types, including Shepherd, Sound Supreme, Warnock/Chesney, Troy, G1, and McLellan. The hole diameter is smaller than our older version, and still larger than some other chanters, which allows us to get better projection. The high G is slightly flatter and I caution folks to be careful at the beginning of any new reed, as almost every reed I have tried tends to be sharp on high G until the reed gets a bit of play into it. We have also raised the height of the A, B,and C holes. this is to make the "comfort level" better, but also allows us to raise the pitch ever so slightly. We then maintain the same base number (call it 480 on a tuner) without pushing the reed in quite as far, which should mean less tape on top hand. Orders can be made directly through me right now and there are dealers carrying the chanter also. • other soles and engraved soles priced at that time. While you are here, be sure to visit the improved online store, and read about "The Bruce Gandy Bagpiping Development Society." Have a look at the page, and see the bottom section on how YOU can help! Be sure to make contact if you have ideas, suggestions, or want to offer assistance. This is also the place to make contact with me about lessons, workshops, judging, or consultation for a set of pipes or some great chanter reeds. From time to time, I post on my blog, and I am always interested to hear from people about piping.